The most common problem is that TeamCity disallows Powershell errors, at least with the default configuration. Event if PowerShell script fails, it’s still considered as successful by TeamCity. This can have a serious ramification because the errors can occur unnoticed for months and can cost you a lot when you finally spot them. This is caused by default setting for Format stderr output as in PowerShell build step template, which is set to warning. 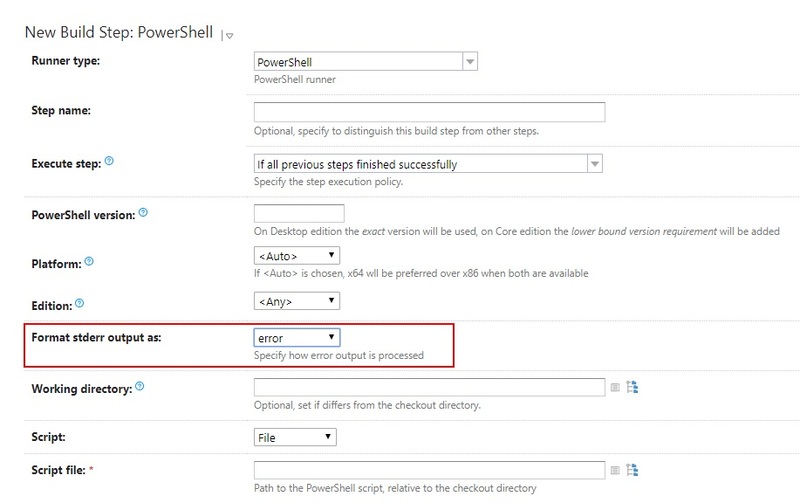 In order to propagate PowerShell errors to the TeamCity UI (mark the build step as failed), this should be set to error as the following screenshot shows. #PowerShell halts execution on terminating errors, as mentioned before. For non-terminating errors we have the option to tell PowerShell how to handle these situations. #This is where the error action preference comes in. Error Action Preference allows us to specify the desired behavior for a non-terminating error; it can be scoped at the command level or all the way up to the script level. # SilentlyContinue – error messages are suppressed and execution continues. # Stop – forces execution to stop, behaving like a terminating error. # Continue - the default option. Errors will display and execution will continue. # Inquire – prompt the user for input to see if we should proceed. 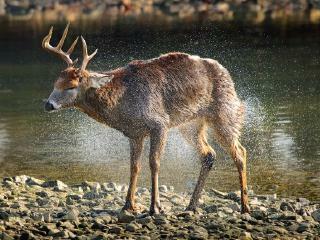 # Ignore – (new in v3) – the error is ignored and not logged to the error stream. Has very restricted usage scenarios. 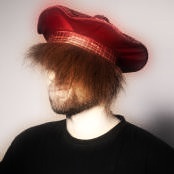 [CmdletBinding()] parameter protects your methods from invoking them with an undefined parameter. Every time when somebody uses undefined (or deleted) parameter or makes a typo in parameter name, this fact will be reported as PowerShell error. If the method is not CmdLet the parameter names are not validated, making the problem hard to detect. Always use a decent IDE to create and edit your PowerShell scripts. I’m currently working in VSCode with PowerShell plugin which seems to be more powerful than PowerShell ISE. It ships with a rich set of snippets, it is able to detect unused variables, allows to track method usages and provides a really nice experience in terms of debugging scripts. It also has integrated PSScriptAnalyzer module which helps to detect many issues related to the code correctness and quality. You can read about all features here. The TeamCity PowerShell build step allows to run PowerShell scripts provided as inline source code as well as script files. For project specific scripts you should always use script file options. This allows you to keep your script under version control system together with the project source code and make it easier to edit your scripts (any IDE is better than textarea on the build configuration step page). Of course, you can keep your ‘inline-scripts’ versioned when you are using Versioned settings but it’s very tedious to edit PowerShell scripts embedded inside the XML files. The second option allows you to create a nice configuration UI for your scripts. However, versioning will be not possible anymore (as far as I know). You can find an example how to create meta-runner in my previous article. You should always treat your CI/CD scripts equally as your project source code in terms of quality. They should be versioned, reviewed and automatically tested. It doesn’t matter that these scripts are not ran on production. They are helping you to properly prepare production artifacts and if they are of poor quality, you cannot expect good quality outcomes. Even if the code is written using scripting language - you should always remember about obeying Clean Code rules. 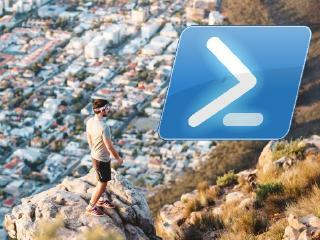 For PowerShell, there is a really good Best Practices and Style Guide which you can find as an invaluable source of knowledge how to create scripts that are easy to read, understand and maintain. That may be surprising for some people, but CI/CD scripts can be unit-tested. PowerShell has its own unit test framework - Pester which is very well supported by VSCode. Pester helps to quickly create tests with BDD approach which can also serve as living documentation. By applying these rules, you will avoid a lot of problems and you will make your CI/CD more bulletproof. 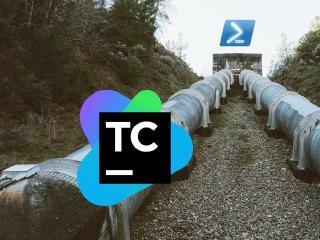 Together with TeamCity and PowerSHell you can build very powerful and flexible CI/CD system but without understanding basic concepts and mechanisms you can’t obtain maximum benefits. Default configuration can be a trap, especially in terms of error handling and reporting. 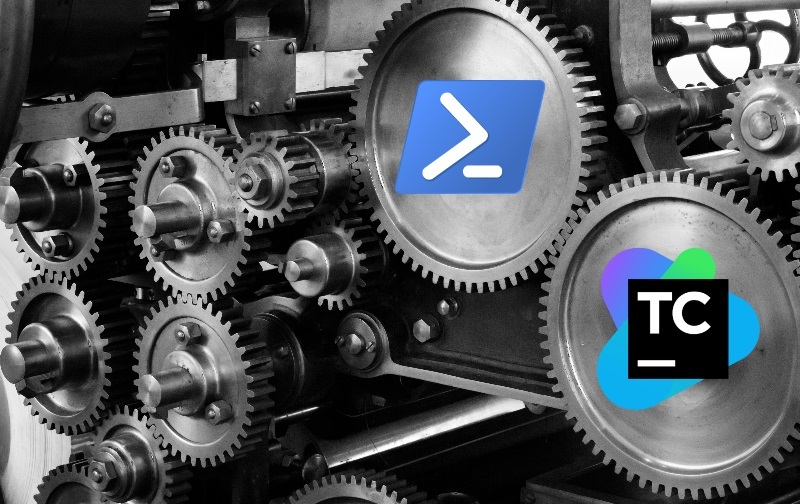 Besides the proper configuration there are additional tools and guidelines for PowerShell that you can leverage in order to make your process highly maintainable and less error-prone. Using decent IDE and applying programming rules and best practices for script development can save you a lot of troubles.